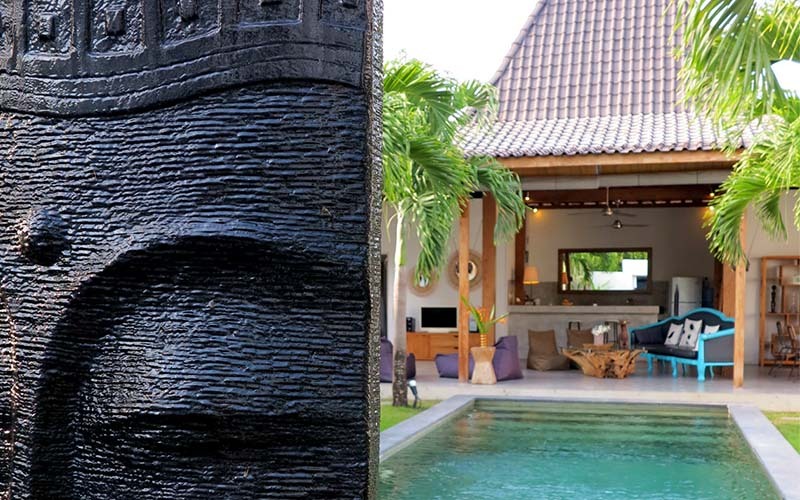 Large and spacious villa located in a quiet area of Canggu, just 500 meters from Echo Beach, 10 minutes from Canggu Club, and surrounded by famous restaurants like DEUS, Old Mans and Mr Spoon. Built on two levels and 1000 m2 of land, this property will make you find the charm of ancient Bali with one beautiful pool and this stunning vegetation. The villa has three bedrooms, two bathrooms and a large patio overlooking the beautiful Balinese garden offering a quiet and incredible view. Great investment opportunity, in a very sought-after area, this house offer some greats opportunities with some renovations to provide.